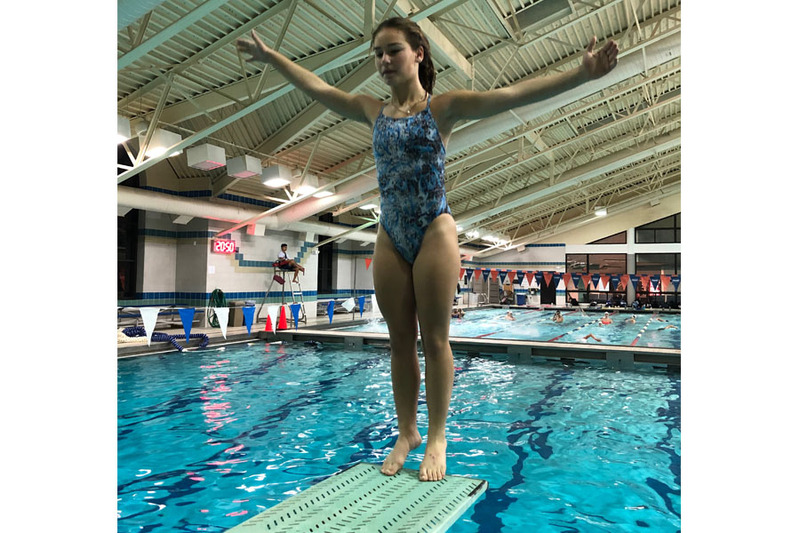 Improving from last season, the RHS dive team has found success with their underclassmen, specifically new freshmen talent Callie Borda and Dima Lawrence, as well as sophomores Emily Reynolds and Spencer Finnegan. The girls dive team ended this season with a 4-1 record, defeating every team except Clarksburg High School. The boys team went undefeated, finishing with a 5-0 record. Both teams out dove their opponents winning most of their dual meets this season and sending five divers to divisionals and four to regionals. Both Borda and Reynolds qualified for the Washington Metropolitan Interscholastic Swimming and Diving Championships (Metros), a meet with participants from all public and private schools in the District of Columbia, Maryland and Virginia area. Reynolds placed 21st and Borda placed 8th at Metros. Borda also made it to the 2019 Maryland state swim championship along with Finnegan where they placed 6th and 8th, respectively. Borda and Lawrence are the only freshman on the team but nonetheless worked hard to be valuable assets. “The freshmen always work really hard in practice and it shows when they both do really well at meets,” Finnegan said. Transitioning from the previous year, the girls team finished with 44 points this season, improving from last season’s 28 points. The boys team finished with 50 points this season, improving from last year’s 36 points. Divers that finish place 1st, 2nd, 3rd or 4th earn points for their team that contribute to their teams overall score. In preparation for the winter diving season, many of the divers dove with club and summer teams. These divers are not only friends on the pool deck, they have gotten very close with each other outside of the pool as well.